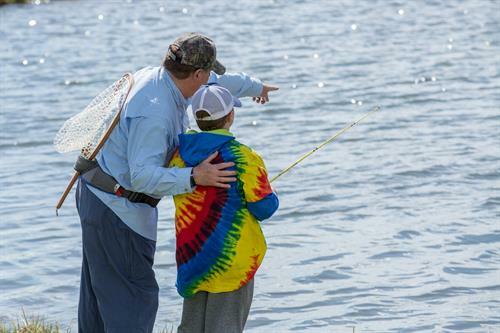 EPRD presents a one-day Youth Fishing Clinic for kids ages 10+ on Sat., May 18, 2019, from 8 AM - 12 PM on Buchanan Ponds. Evergreen Trout Unlimited provides expert instruction on the basics and fun of fishing: fly tying, elementary entomology (study of insects), rod handling, casting a fly and understanding proper angling ethics. Camp includes fishing on the Buchanan Ponds with an Evergreen Trout Unlimited member, a free T-shirt, fly box with flies, a picnic lunch, bottled water and soda. Rods and flies are also provided. Please dress for the weather so bring sunscreen, a hat, a raincoat, and sunglasses.